My cousin, Kevin, his wife and their two business partners have just launched a new spin on the "exit room" phenomenon that has hit Greater Vancouver. 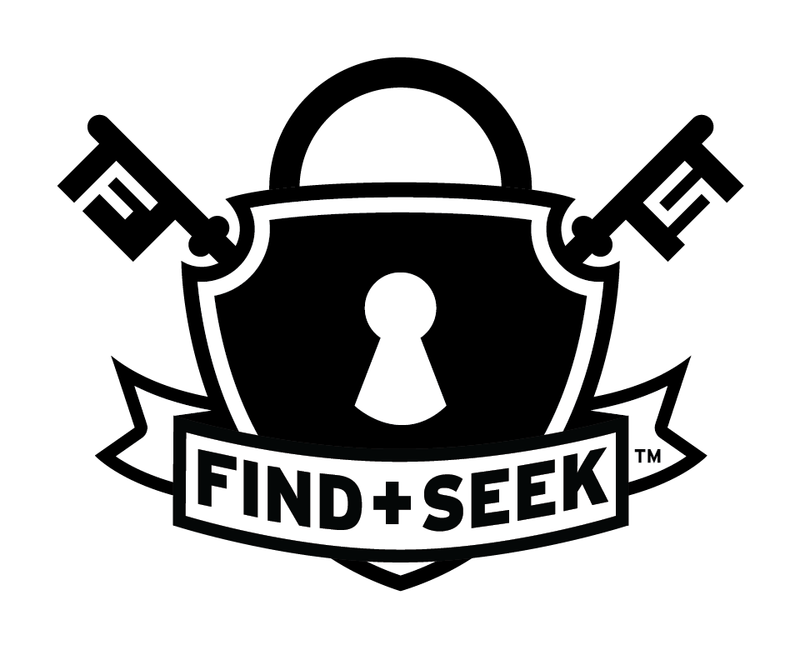 The outcome - Find+Seek, an adventure puzzle room! 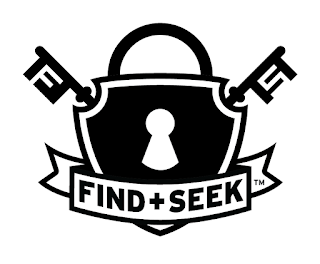 When they told me about their new business venture, I was not only (obviously) impressed that they were starting their own business, but I was also intrigued by the idea of a puzzle room that wasn't connected to the theme of the horror movie, "Saw" - find your way out, or saw your foot off, or DIE. It's way more family-friendly with no sense of death looming around you. So I gathered a couple girlfriends to try it out. None of us have ever done anything like this before, and we went in with no prior knowledge of puzzle/exit rooms. 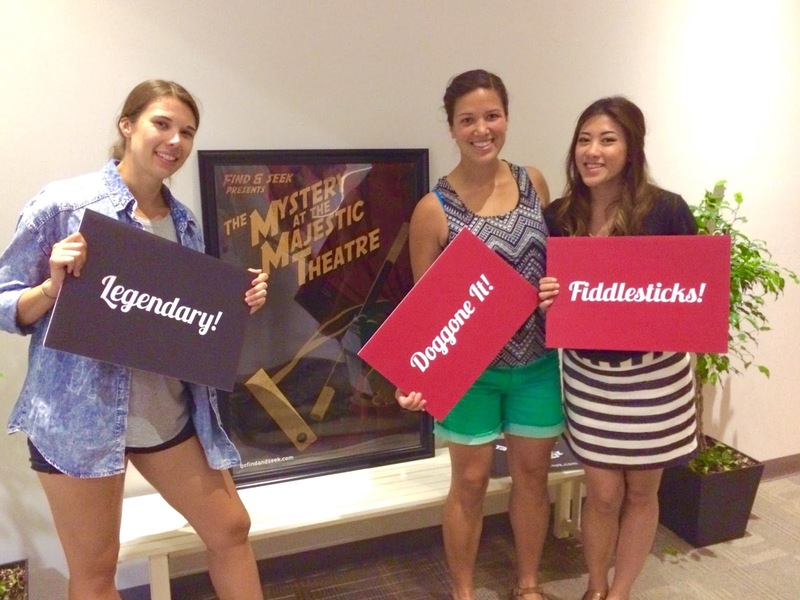 Here are the basics: 45 mins to solve the mystery. If you get stuck, they'll provide you with some hints (we received a lot of these hints haha). Be prepared to think - strategically, mathematically, with logic and plain common sense. Sometimes the answers were easier to solve than we expected - right under our noses! Being the naturally competitive girls we are (we're basketball and football teammates), we wanted to win. Little did we know, the more people you have in the room, the more collective brain power you have, therefore the faster you'll succeed. We only had three players, including myself. Doh! After being briefed on the game, we were ushered into a room that was fully decked out - decor, furnishings, trinkets - everything in the room had a purpose. Even the TV screen, which was a means of communication between us and the "Watchtower". If we were stuck, we'd call for the Watchtower and they would give us clues. Once we passed a step, another task would appear, getting us closer to solving the mystery. Verdict? All three of us had feelings of complete excitement, competitiveness, happiness of being rewarded after every successful passed step, but, ultimately, disappointment that we failed. 60% complete isn't good enough! 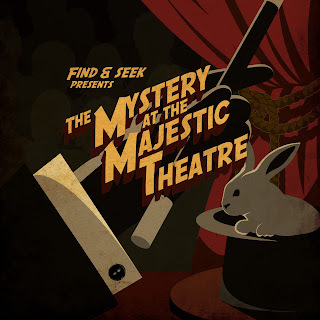 Needless to say, we'll be back again to solve "The Mystery at the Majestic Theater", and again when Find+Seek releases their other chapters. Marie's hints? You're allowed up to 10 people at one time, so build a collective brain by bringing more people in. Study the room for clues - everything is there for a reason. 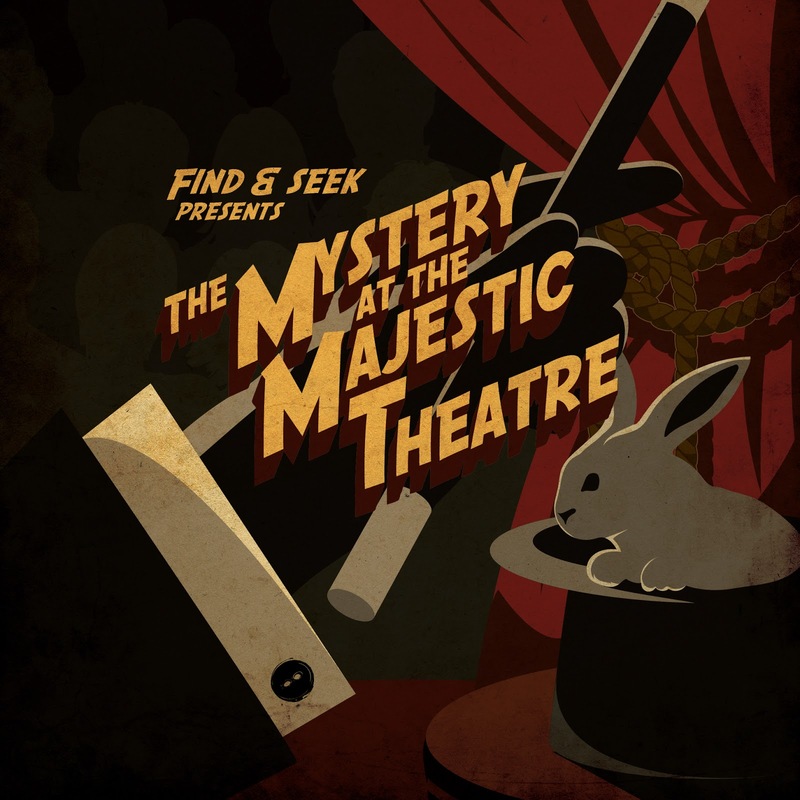 Lastly, enjoy the mystery! If you're interested in going, don't hesitate to check out their website, or their social media pages. 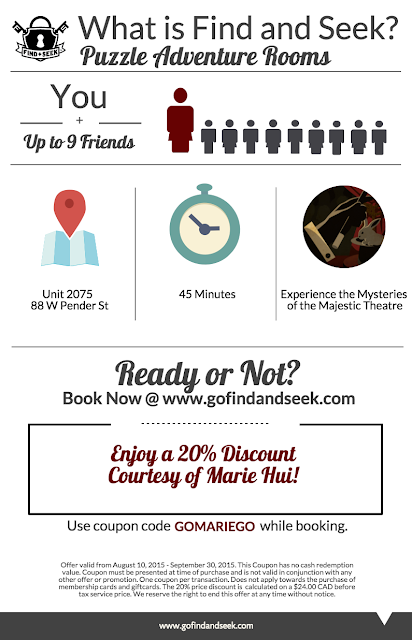 You can also get 20% off the booking with discount code "GOMARIEGO" if you go before September 30. Book here. Don't forget to say HI to my cousin Kevin!